I will be honest. I ignored your advice about avoiding free hosts because I was one of those people who didn't believe I should have to pay for a website. Three months after launching my Blogger site, it was suddenly deleted because of "spamming." I have no idea why that happened because I'd never done any link building or anything that would constitute as spam. Nevertheless, you were right. I just bought my domain and will be doing a hosted WordPress website as you suggested here. I know this may sound harsh, but I have been guiding people to create websites since 1998 and the biggest mistake people make is they don't invest in their own website. 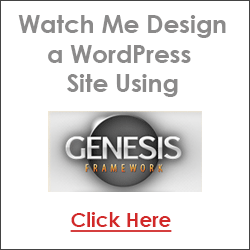 I know that times are tough now and it's natural to want to build a website the cheapest way possible. But let me tell you now, creating a free website is a bad move. No ifs, ands or buts. 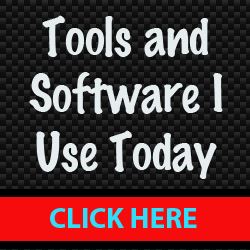 After this nightmare where I lost six websites and the income I was earning, I promised to never take shortcuts again. Web hosting is so incredibly cheap these days, it's worth the small investment to ensure you own and control your website. The average hosting plan costs less than $10/month (that's a couple of trips to Starbucks for the month if you want to put it into perspective). And people will often say, I'll just start off with a free website and then get paid hosting after I start making money. A big part of building traffic to a website these days is networking, so perception is everything. If someone comes to me and wants to network with a free site, I instantly question how serious they are about their business. Also, the search engines give more credibility to paid domain names. I would rather you wait and save your money then to choose a free host today with the intentions of upgrading to paid hosting later. I can tell you from the e-mails I receive that those who start off free and plan to upgrade later end up regretting the decision simply because switching hosts and moving your website is a royal pain in the you-know-what. So you might as well build right the first time. You don't own your site. You're renting it. Support is available for problems, technical help, etc. Have you ever read a story about a successful website online? The address is always something.com or something.net. Notice it's never a something.blogspot.com or some random free host. Real businesses have their own domain names. And don't be fooled by those companies offering free domains. They may be free for the first year if you buy hosting (that's how they draw you in), but the renewal fee may be sky high in the following years to come. There's always a catch with FREE. If you were starting an offline business, you'd plan on investing some money right? Taking shortcuts will always slow you down and it's just not worth it. I've been making money on the Internet for over a decade and I have YET to read a success story from someone hosting their site on Blogger.com or Weebly. It's no coincidence that successful people own their own domains. And if the address doesn't tip your visitor's off, the banners and pop-ups you'll be forced to display sure will. Think about it. Wouldn't you be a little suspicious if the web address of a business was something like http://members.aol.com/users/myhomepage.html with pop-ups and banners instead of www.companyABC.com? Years ago you could get away with this, but people have become much more Internet savvy and they can smell a "cheap site" a mile away. You don't want to lose credibility and potential customers because of the unprofessional feel. Any time someone sends me their "business" site on Blogger.com I immediately discredit the site. Sorry, but that's what most people do. Free web hosts just aren't taken seriously in general. Not to mention, you can only do some much with them. So if you want to add shopping carts, order forms and additional interactive features you probably won't be able to do this because most free hosting companies don't offer that kind of functionality. It's pretty expensive for companies to run free hosting companies because of the bandwidth costs. So what happens often is they run low on funds. They try to keep their service free by slapping banners on the member's pages, hoping that people will click and purchase products...but think about it...how many banners have you clicked on lately? Then some may try to redeem themselves by charging a "small" fee for their service. And of course, if you aren't willing to pay for your site, you can say "bye bye" to all of your hard work. That's what happened to me. If you haven't read my story, here it is again. Also, if you read the fine print when you sign up, you will see that there are NO GUARANTEES with your site and it can be removed at any time without any notice whatsoever. So if you're still thinking of using a free host after all that, then I'm not sure there's much more I can say to convince you. If money is tight, I can certainly respect that. As I said earlier, I'd rather you wait and save some money instead of starting free and planning to upgrade later. Sorry, but in my opinion, free hosting is almost always a bad idea -- especially for long-term, business/money making websites. Even if you just want to practice with your website, moving it to a paid host is what can be a pain. My recommendation is to register your own domain name and build your site from scratch. Years ago, this was the most intimidating process ever. But thanks to programs like WordPress, creating a website is not nearly as difficult as it used to be. The registration process is very easy. You're able to search the Internet's domain name database until you find a name that hasn't been taken. Within seconds you can reserve it and it's yours for as long as you want. Once you have the name you want, you'll need a place to create your web pages. A web hosting company will provide you with the help you need in this area. You'll be happy to know that the hosting options recommended here provide top notch support. Just do yourself a favor and try it. You have no obligations to keep your site. Hosting fees are not expensive and you can terminate your plan anytime. I hope you'll make the smart decision. :) Good luck! Learn about the costs of creating a website.